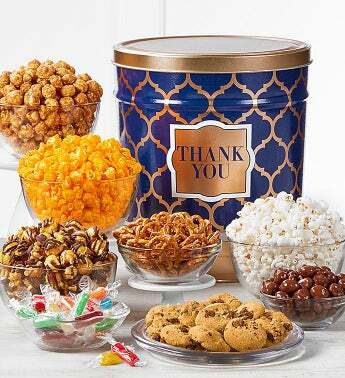 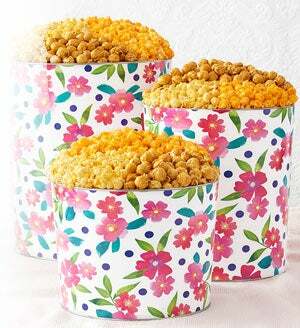 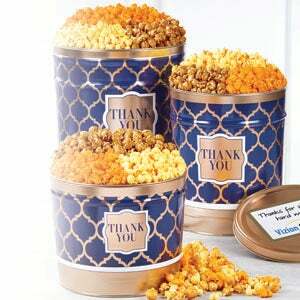 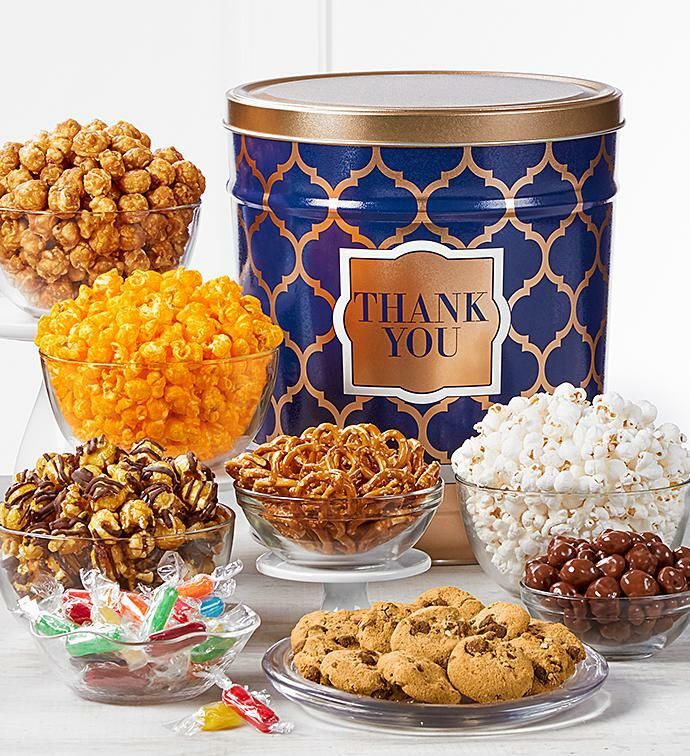 The Premium Snack Assortment is a 3.5-gallon tin overflowing with assorted Hard Candy Rods, Milk Chocolate Popcorn Bites, Chocolate Chip Cookies, Mini Pretzels, and 4 flavors of popcorn: Cheese, Sea Salt Slim, Drizzled Caramel and Toffee Caramel & Sea Salt. 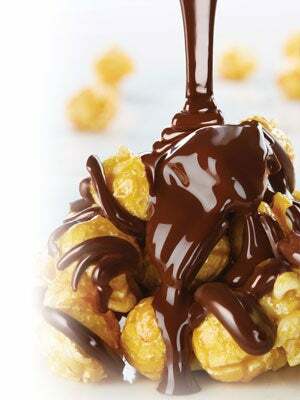 3 lb .92 oz. 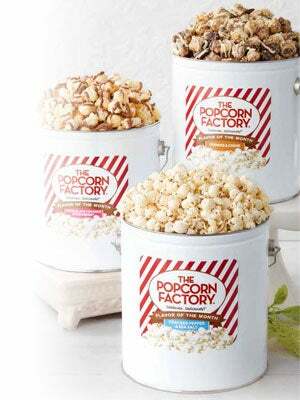 Serves 5-7.